Model coverage commands let you automate the entire model coverage process with MATLAB® scripts. You can use model coverage commands to set up model coverage tests, execute them in simulation, and store and report the results. Create a test object that specifies the model or part of the model tested. Execute (simulate) the test object. This creates a results object for the test object. Create a report for the results object. Save the test object and its results object in a file. Load the file containing test and results objects to create new reports of model coverage data. Retrieve specific coverage information after simulation using MATLAB commands. Example script that demonstrates how to use the model coverage commands. 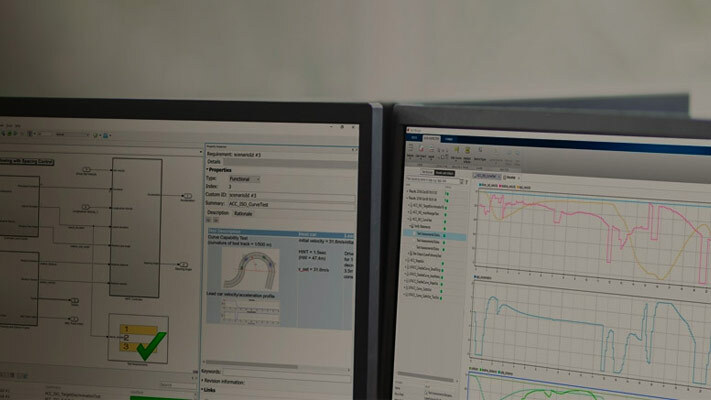 This example shows how to use Simulink® Coverage™ component verification functions to log input signals, create a harness model, and execute test cases. This example creates three test cases for an adjustable rate limiter and analyzes the resulting model coverage using the command-line API of the Model Coverage tool. This example shows how to record coverage in multiple parallel Simulink® simulations corresponding to different test cases by using SimulationInput objects and the parsim command.